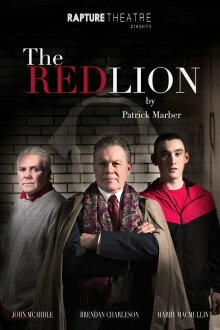 The Red Lion FC is a non-league side who have dreams of the big time. However, their manager, Kidd, will stop at nothing to realise his own ambitions of money and fame. So when a talented young player, Jordan, turns up for a trial, Kidd sees his golden opportunity. But Yates, the kit-man and club legend, has other ideas. A battle of wills ensues between Yates and Kidd over the future of Jordan and the future of the football club. Following its highly popular production of A Streetcar Named Desire, Rapture Theatre returns to Beacon Arts Centre with a brand new production of Patrick Marber’s hit comedy about “the beautiful game”. Emmerdale and Brookside actor John McArdle will lead an all-star cast in what promises to be a funny, touching and unmissable night at the theatre.